Who is Jose “Hoozay” Velasquez? Los Angeles based stand-up Comedian/Entertainer, Jose “Hoozay” Velasquez has been active as a performer since he was 17 and started doing Stand-up comedy at the age of 19. 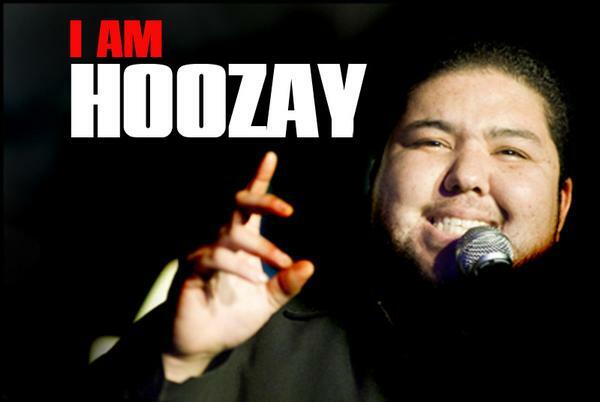 Born and raised in Compton, Califorina, Hoozay first broke into comedy at the Comedy Union in Los Angeles, California. There he crafted his skill and is now traveling the country performing his act in theaters, colleges and comedy clubs. His comedic talents earned him a selection at the Latino Laugh Festival in Hollywood California in 2007, and a writing credit in the upcoming independent film “City College”. He was also runner-up in the Union City laugh off and the Southern California Laugh Riots. He is also a regular at the Hollywood Improv, Laugh Factory, Ice House and many other Los Angeles based comedy clubs. Hoozay is a true comedian that works for the sole purpose of getting laughs. His material ranges from Family life, current events to real life situations. He performs his act to conform to the audience that happens to be in front of him at any given time. This past year Hoozay has performed in numerous film projects. He has been cast in Roberto Grijalvas upcoming film City Streets, and makes appearances in two Scott Hamilton Kennedy projects; OT: Our town and Brother Lost. Currently he is working on his own film entitled “Los Comediantes”. Look for Jose “Hoozay” Velasquez in your local comedy club and in future television commercials. IMDb I have TV credits?